A campaign to erect a memorial to small boat sailor and wartime hero Blondie Hasler has raised £65,000, but needs a further £15,000 for the stone which will be unveiled next spring. The memorial will salute Blondie and his 10-man team of Royal Marines who, using canoes launched from a British submarine at night took part in the Cockleshell Hero limpit-mine raid on German shipping in Bordeaux, called Operation Frankton. The 91 mile, night-approach raid ended in disaster: two marines drowned and six faced firing squads. But they managed to sink one ship and severely damage four others. 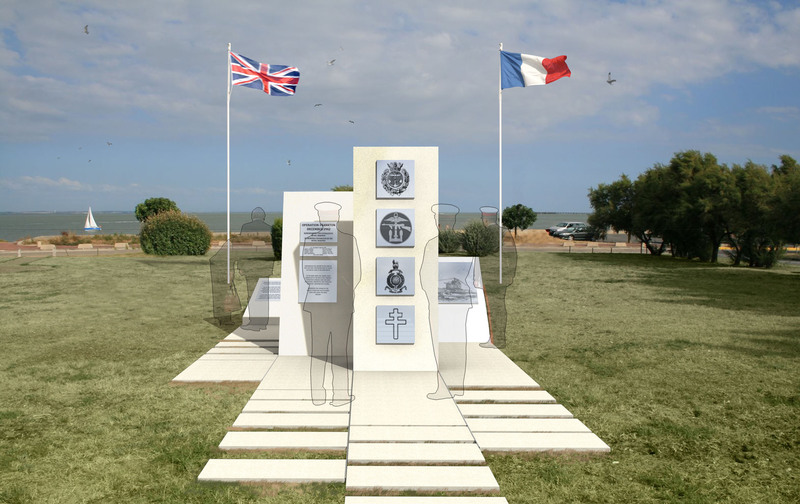 Blondie and one other faced a 100 mile escape through occupied France into Spain and to Gibraltar.The memorial is to be gifted to the people of France and will be sited at the southern headland of the mouth of the Gironde River, at le Pointe de Grave. This is the closest point of land from where the men were together for the last time having being launched from the submarine HMS Tuna. Many donations made so by The Royal Marines family, The Submariners’ community, the Special Forces and a huge number of private donations. ‘As devotees of small boats the donations from readers of Yachting Monthly would add another special thread in the tapestry of this long overdue memorial,’ said Ewen Southby-Tailyour, OBE, whose own small boat explorations of the Falklands Islands proved invaluable during the Falklands War in 1982. An artist’s impression of the planned memorial.